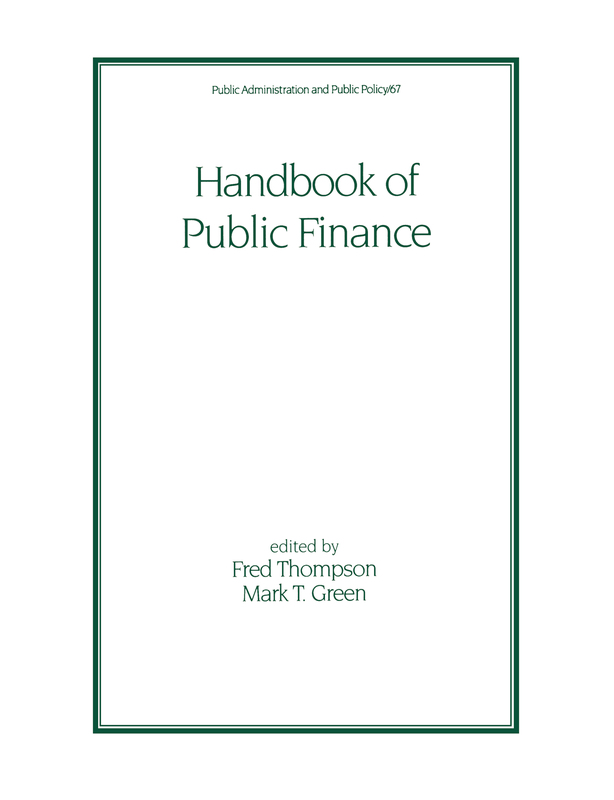 Presenting emphases on and approaches to issues such as government spending, reporting, pricing and fiscal federalism, the Handbook of Public Finance demonstrates the utility of integrating public finance theory with actual public policy practices. It discusses applications in major subfields of public finance, including public education, environmental regulation, energy policy, social welfare programs, and local and state politics. Other topics of discussion include the theory and practice of tax incidence analysis; the marginal costs of taxation and regulation, the economics of expenditure incidence, discounting and the social discount rate; passive use benefits, and public sector pricing. Part 1 Foundations of public finance: the foundations of normative public finance; organizing government supply - the role of bureaucracy. Part 2 Taxing: the theory and practice of tax incidence analysis; the marginal costs of taxation and regulation; tax administration - the link between tax law and tax collections. Part 3 Spending: the economics of expenditure incidence: a practitioner's guide to benefit-cost analysis; discounting and the social discount rate; passive use benefits - existence, option and quasi-option value. Part 4 Special topics: fiscal federalism as a framework for governance reform; municipal public finance; education finance. Part 5 Accounting and financing: the municipal bond market - structure and changes; financial reporting; federal budget practices in the 1990s. Part 6 Pricing: public sector pricing - an institutional approach.